I reached out to Professor Arun Kulkarni at University of Texas at Tyler to answer few questions about Computer Science Department. 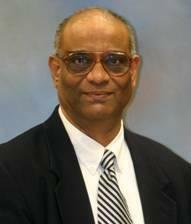 Dr. Arun Kulkarni, Professor of Computer Science, has been with The University of Texas at Tyler since 1986. His areas of interest include soft computing, database systems, data mining, artificial intelligence, computer vision, image processing, and pattern recognition. He has more than sixty refereed papers to his credit, and he has authored two books. Dr. Kulkarni obtained his Ph.D. from the Indian Institute of Technology, Bombay, and was a post-doctoral fellow at Virginia Tech. Can you give an overview about admission process for Graduate students at CS department? To have your application evaluated for admission, you must pay your application fee, submit transcripts of all upper-division work, submit any additional materials such as recommendation letters, TOEFL/IELTS score , and GRE scores, etc. to the Office of Graduate Admission. Once your file is complete, it will be evaluated by the Admissions’ Committee at the Computer Science Department, and the Office of Graduate Admission will notify the decision to the applicant. What factors are considered when evaluating prospective student application? I see that Recommendation Letters and Statement Purpose are not required. Would be advantageous if students include them with the application? Items (6) and (7) are helpful, particularly when your GRE score is not so good. Watch Pritam Bannerjee Talk about Computer Science Department at UT Tyler. Can a student from different Engineering Major apply for MS in CS? Yes. Students from other engineering majors such as Electrical Engineering, Information Technology, or Electronics and Communication can apply. They may be required to take some undergraduate courses as leveling courses. What advise do you have for students applying to UT Tyler to increase their admission chances? Follow the instructions on the website carefully and submit all required documents. Please check the status of your application with the Office of Graduate Admission. Please let me know if you need any additional information.